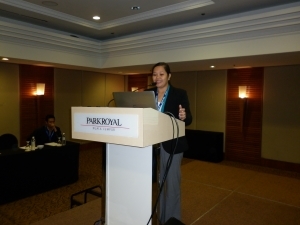 Although this style of workshop was not the first of its type in the Asia Pacific region, it was the first main gathering for the recently formed FIG Asia Pacific Capacity Development Network (AP CDN). 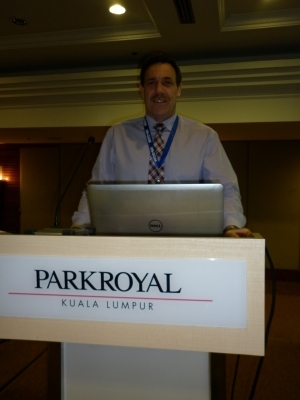 The Park Royal, Kuala Lumpur – Malaysia was the venue for the FIG, UN-GGIM-AP Working Group 1 Geodetic Reference Frame, and JUPEM forum on Geospatial and GNSS CORS Infrastructure and Systems. 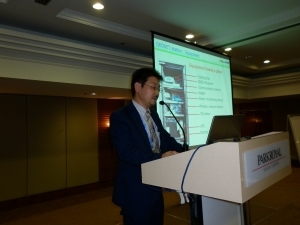 The forum was convened on the 16 - 17 October 2016, and comprised of 6 sessions, and 22 presentations. 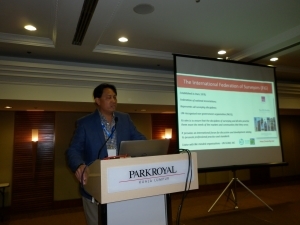 Although this style of workshop was not the first of its type in the Asia Pacific region, it was the first main gathering for the recently formed FIG Asia Pacific Capacity Development Network (AP CDN). 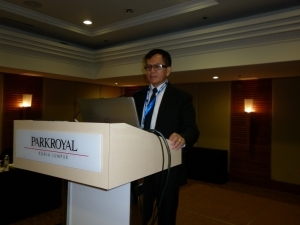 to establish a regional geospatial / geodetic communication network to discuss common challenges, and possible solutions. 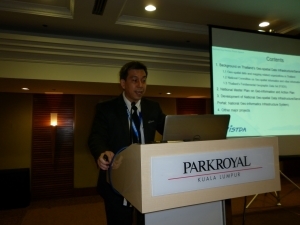 The forum host Dr. Azhari bin Mohamed and the national government agency JUPEM (Department of Survey and Mapping, Malaysia) organised an outstanding venue, and provided additional staff to support the logistical components of the forum. All aspects of the venue, hospitality and service were professionally performed and enabled a friendly and participatory environment. 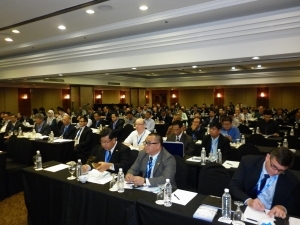 Over 150 delegates from 21 different countries registered for the forum. Over the 2 days, the forum attracted over 100 participants each day and these attendees actively engaged and contributed to the program. 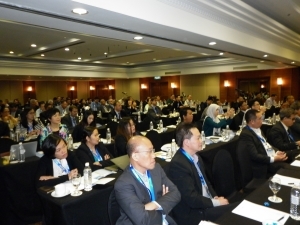 To review and access all presentations listed in the following sessions, please navigate to FIG Asia Pacific Capacity Development Network website. 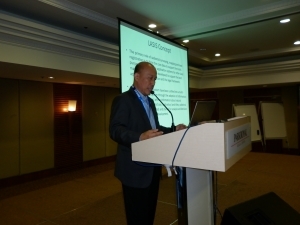 Outline: Invited countries provided a brief overview of their status but more importantly shared insights into how their organisation overcame their biggest challenge when developing and establishing geodetic and geospatial infrastructure. 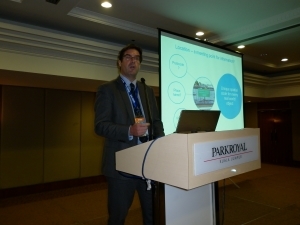 Session - Why Geospatial / Geodetic Infrastructure? Outline - This session focused on the fundamental purpose and why countries need geospatial and geodetic infrastructure and information; with particular emphasis on how such infrastructure can confront a nation’s economic / political / social / technological challenges. 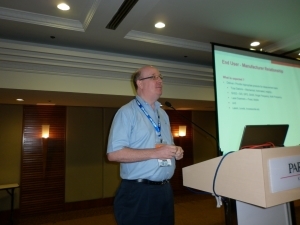 Outline - This session provided a technical overview on the hierarchal structure of reference frames and the potential benefits for participating agencies. 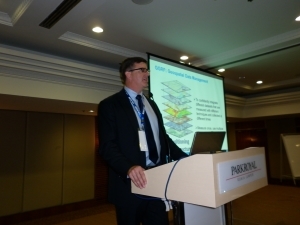 This includes information on GGRF, ITRF, National geodetic datum, and the importance of GNSS CORS. 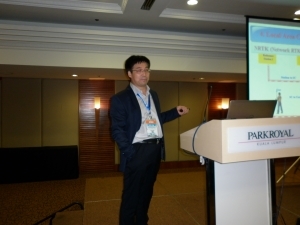 Outline – Case studies on the implementation of GNSS CORS to modernise geospatial and geodetic infrastructure were presented. This included information on challenges faced with respect to standards, access to information, institutional arrangements, legal / policy requirements, technology, communications, data, people and partnerships. 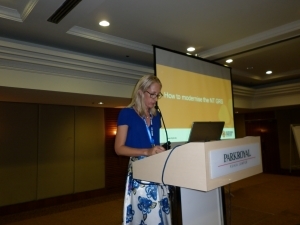 Outline – In this session presenters provided an overview of their organisation and how they can support the geospatial and geodetic infrastructure in the region. Outline – The purpose of this interactive session was for participants to identify, analyse and prioritise challenges for Region / Countries; explore solutions for the challenges; and discuss and strategize the way forward. As previously mentioned, the forum was conducted in an atmosphere of respectfulness which resulted in open and honest discussions from participants. 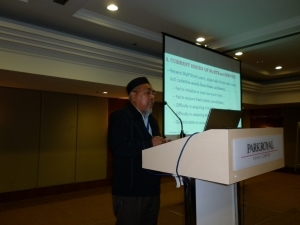 Many common regional challenges were identified and possible strategies were considered. A summary matrix of these workings was formed and is outlined below. More advocacy on standards, and guidelines; the benefits of application and adherence. Understand the options – share experiences. This also applies to the “society” understanding our value. “Top down and bottom up” approach. 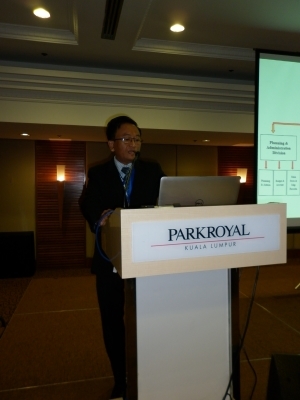 Try to get interest / involvement at the Ministerial level – think like them? Information and awareness campaigns at all levels of government / public / society and make it LOUD. Sustaining the integrity of the infrastructure. Have a “geodetic” open day! 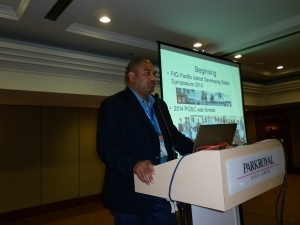 Please note, the FIG AP CDN will also endeavour to be involved in the above capacity building activities, and in conjunction with the UN-GGIM-AP WG 1, continue to provide technical support to the Pacific Geospatial and Surveying Council (PGSC). 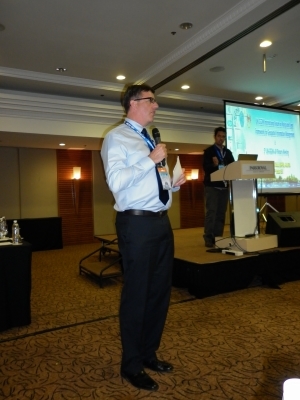 In addition, a resolution based on the activities of the subject forum was compiled by FIG AP CDN and UN-GGIM-AP WG1. This resolution was then tabled at the Fifth Plenary Meeting of the Regional Committee UN-GGIM-AP, and was unanimously accepted and endorsed by the members. 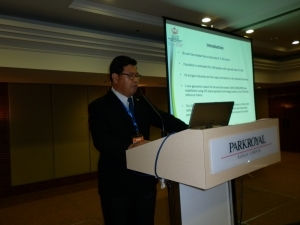 Work closely with the International Federation of Surveyors (FIG), in particular the FIG Asia Pacific Capacity Development Network (AP-CDN), the Pacific Geospatial and Surveying Council (PGSC), the International Association of Geodesy (IAG) and other relevant organisations to develop geodetic capability in the Asia Pacific. 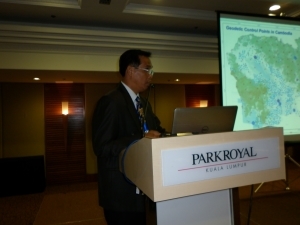 Upon completion of the Geospatial and GNSS CORS Infrastructure and Systems forum, the 5th UN GGIM AP Plenary Meeting, and the forum on Policy and Legal Frameworks for Geospatial Information Management were convened at the same venue, the Park Royal, Kuala Lumpur. 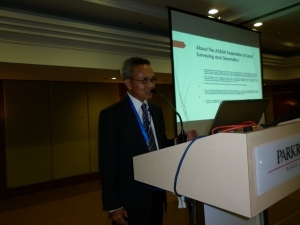 In addition, two other events ran in parallel and they were the Social Tenure Domain Model (STDM) and Fit-For-Purpose workshop, and the 4th Divisional Meeting of the United Nations Group of Experts on Geographical Names (UNGEGN) - Asia South East (ASE). 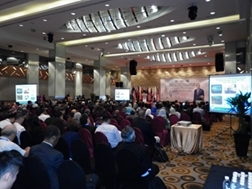 Altogether, these events over the period 17 – 20 October attracted 495 delegates from 29 countries and consisted of 125 international attendees. 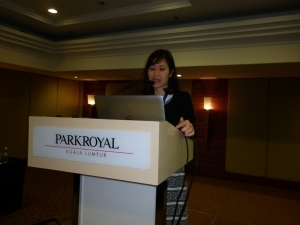 Like most UN-GGIM-AP events opportunity was provided to participants to discuss and question the presentations and their findings. As a result a “declaration” relating to policy and legal frameworks for geospatial information, and several “resolutions” from UN GGIM AP working groups were subsequently prepared, tabled and endorsed at the UN GGIM AP Plenary Meeting. 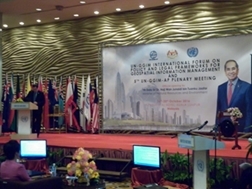 Please refer to the following web location http://ggim.un.org/Kuala%20Lumpur%20Forum.html for the link to the Kuala Lumpur Declaration and to web location http://www.un-ggim-ap.org/ for the various UN-GGIM-AP Working Group Resolutions. More forums are required to exchange or share knowledge and experiences, and to discover what is happening in other regions as well as other industries; in particular the digital communications, mobile phone and IT sectors with respect to “data” licensing, agreements and liability issues. 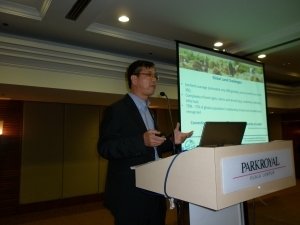 The need for FIG Commissions, Task Forces and Networks to co-operate more with UN-GGIM-AP working groups and be more involved in their technical or administrative activities. That is, as both organisational objectives are similar, FIG needs to take the initiative and opportunity to combine resources and efforts so as to avoid duplication. Once again, special thanks to JUPEM (Department of Survey and Mapping, Malaysia) for sponsoring the UN-GGIM-AP events and also being great hosts for the entire week in Kuala Lumpur. 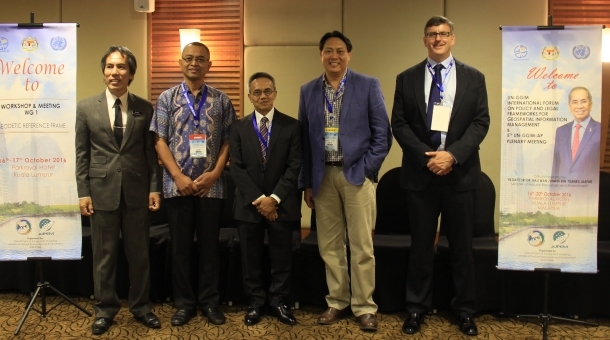 In concluding, with the rapid advent of urbanisation, the uptake of disruptive technologies and the apparent increased frequency of natural disasters in the Asia Pacific region, FIGs role in developing the geospatial capacity to address these challenges will be important. Although, it was evident that there is an appetite and willingness amongst individuals and agencies to make an immediate impact, it was generally agreed that more work is still required to obtain the “political will” from the decision makers so as to achieve more affirmative action.